I'm not a radio, too! 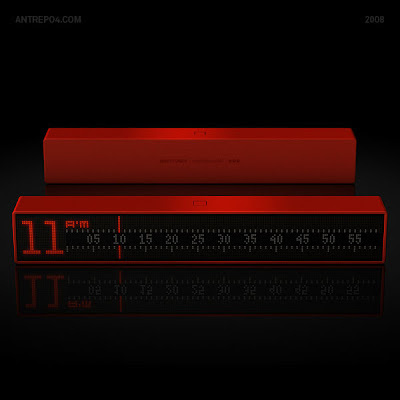 Time Tuner is the new generation clock design, developed by Antrepo Design Industry. Minu Tuner is a minute edition of Time tuner. Same style, same base of design but more colourful touch and more digitalized. The Minu Tuner is based on the linear flow of time and it have a led based screen, line indicator for minutes, big numbers for hours. It's colour options; red, yellow, blue, orange or green and the dimensions are 340x65x65mm. 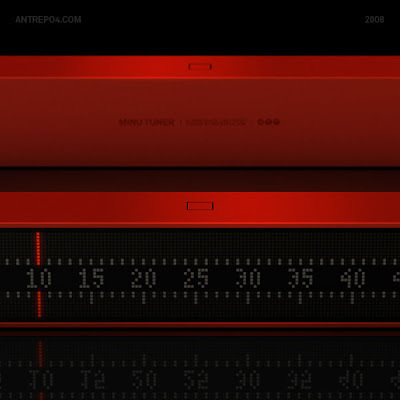 As the Time Tuner has attached lots of interest worldwide and its concepts patents are already issued, Antrepo Design Industry is now in a research process to find a partner company that will cover the costs of production (Both of them). 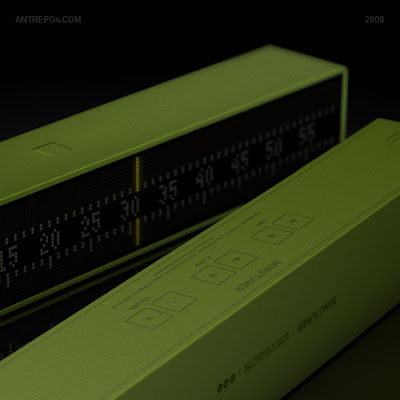 The companies interested in this product may contact Antrepo Design Industry through its website. 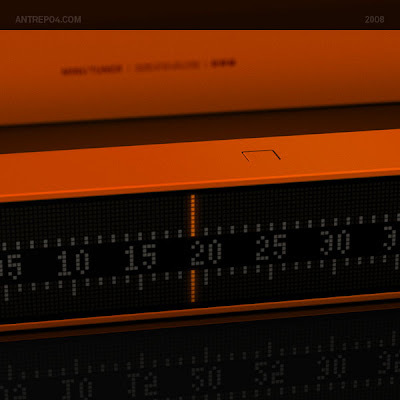 If you don't know first edition of our Table clock, please click Antrepo Time Tuner page. How do i get one of these? ahhh I wanna one of theseee! Wow, these are hot. I need one, perhaps immediately. how can i get it in hong kong? i'd like to buy one, too! but where?! I want one in Australia. 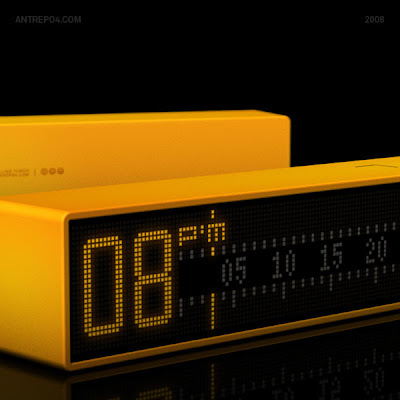 fantastic minimal design, love it. hope it goes into production. reminds me a little of some of philippe starck's product designs. where could i get one of these? 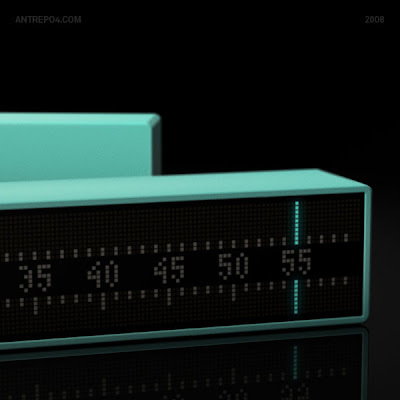 I'd soooo pay 40 euros instantly on a nice looking alarm tuner and clock. This design rocks guys! I'd like to buy one, but how to get one of these. I would like to purchase the orange model. What is the price? Great! E-mail me please price at paraskmer@gmail.com!! Do you ship to Greece??? What an excellent design! I'd love to order one (green, of course). Can you send me informations on this product ??? This is a fantastic piece! I would love to purchase one, please contact me. I want to buy one!!! can you please mail me the details about the price and shipping to Slovenia? Damn amazing! how can i get more info? can you e-mail me? joaofilipems@gmail.com Thanks!! I'd love to buy this! Allright, what do I have to do to get one of these? I want one too! please email me purchase and shipping info. must have one. How can I get one ?! How can i get one ? Love it ! Where and where can I get this ? I love it very much!!!!!!!!!!!! it's a very cool design!!!!!!!! how much??? How to get one to Hong Kong, i would like to know the purchasing and shipping info. MANY THANKS! I love this. Where can I get one? I'm in the US.